The Holst Memorial Lecture and Symposium are organized by Philips Lighting Research and the Technische Universiteit Eindhoven (TU/e). This year’s Holst Lecture, the 40th since 1977, was given by Andrew B. Watson PhD. In his Holst Lecture he reflected on his work as a Senior Scientist for Vision Research at NASA Ames Research Center, Moffett Field. Dr. Watson received the Holst Memorial Lecture Award 2016 for his important contributions to vision research. While the Memorial Lecture by Andrew B. Watson will focus on achievements in vision research, the preceding Symposium will cover four topics, each for 30 minutes including Q&A. Four eminent speakers, all leading academic and industrial professionals from different disciplines, will each address a specific aspect of light, ranging from consumer and entertainment lighting, horticulture, semantic lighting to virtual city planning and light rendering. In this way, the Symposium will address some of the many values light can offer. Preceding the Holst Symposium, the TU/e Intelligent Lighting Institute (ILI) organizes its annual public outreach event ILIAD. Researchers connected to ILI will present current and upcoming research and innovation projects in Intelligent Lighting and its applications in Health and Well-being, focusing on the strategic partnership between TU/e and Philips Lighting. Poster presentations will be part of ILIAD 2016. Currently working as Senior Scientist at Apple, until recently Andrew Blanchard Watson (4 November, 1951, Washington D.C.) was the Senior Scientist for Vision Research and Director of the Vision Group at NASA Ames Research Center, Moffet Field, California. He studied perceptual psychology and physiology at Columbia University and the University of Pennsylvania (PhD. 1977), and did postdoctoral research at Cambridge and Stanford Universities. In 2001, he founded the Journal of Vision (http://journalofvision.org/), where he now serves as Editor-in-Chief. 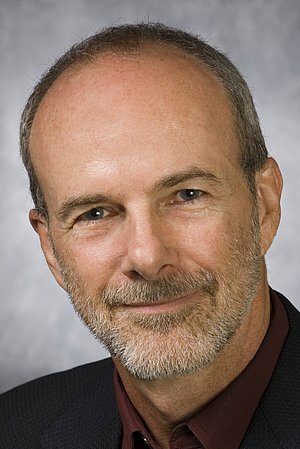 He has also served as an Editor for the journals Visual Neuroscience, Journal of Mathematical Psychology, and Displays: Technology and Applications. Endowed Chair Professor at KTH Royal Institute of Technology, Scientific Director of the Dept. of Communication at KTH, Director of the Mobile Media and Services KTH Lab, Activity Lead in EIT/ICT Labs and Adjunct Professor in Computer Science and Electrical Engineering at University of Maryland - UMBC.